Do you want be part of one of the largest and most active chess clubs in Oregon? Join the Winterhaven Wizards Chess Club! Our focus is to have fun while learning problem solving, strategy and good sportsmanship. Tournament opportunities are available throughout the year, for those interested in competitive play. Club donation: $50 per student (scholarships available, please inquire). Donations are applied to team t-shirts, chess coaching materials and software, chess equipment, scholarships, awards, and a club party. How to Donate: Payable by check to Winterhaven PTSA through the office or at the first day of club, or through PayPal. Click the PayPal Donate link in the upper right corner. 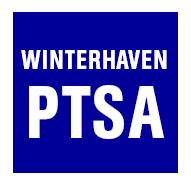 You will be redirected to PayPal with Winterhaven School PTSA as the default recipient. Log in with your account information and enter $50 for the Chess club fee (or your negotiated scholarship amount). In the Add special instructions to the seller field, enter Chess Club.